Apply in shade. Irradiate with intense UV light for ONE SECOND. Wait 15 seconds. Irradiate again for one second. Wait. 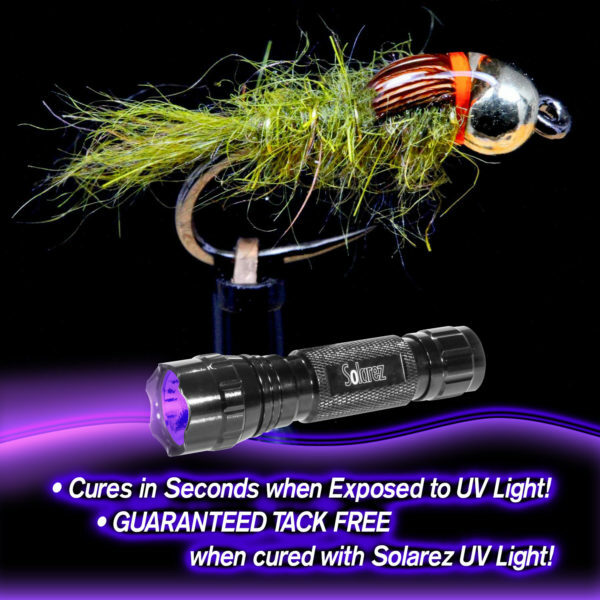 Complete with 10 full seconds UV light. This technique will reduce heat & shrinkage. The “ULTRA-THIN” BONE-DRY formula is an outstanding performer but it has one quark: it crystallizes with prolonged exposure to temperatures below 45°F. This probably will not occur at your location but it might occur in shipping along the way to your place. If this does occur, it will look like the resin has gone clumpy, like crystallized honey. The remedy; same as honey, pop the entire bottle into a microwave oven and nuke it for about 10 seconds. Depending on your microwave, it might take two or three sessions to bring it back to its liquid state again. It might need to get to a temperature of 125°F – right about where the bottle feels hot but not too hot to hold. I’d been using Solarez Thin Hard and liked it, but found that the lack of a fine-tipped applicator made it difficult to apply on flies smaller than size 1/0 . When the Fly-Tie Ultra Thin formula came out, I decided to try it because it had an applicator brush. As with the Thin Hard, the resin worked very well; it dried clear and hard after only a few seconds under the light. If the applicator brush were half the diameter of the one provided, it would have been perfect. As it was, however, the brush delivered a little too much resin even for the head of a size 8 streamer. 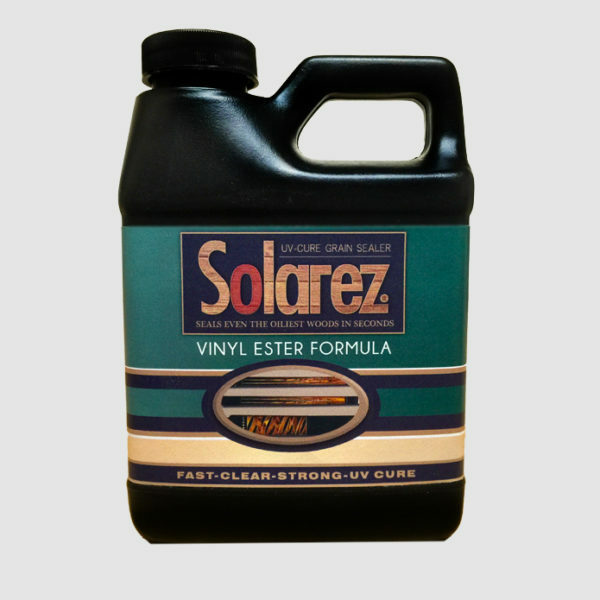 My suggestion to Solarez would be to equip future bottles of the Ultra Thin with a tapered applicator brush, or with one about half the diameter of the one currently provided. I’ve been looking for a product that acts quickly without residue with a brilliant mar-resistant finish. This does more than The trick. Using sunlight or UV light it flows on smoothly and holds its glasslike color and finish. I saw this product used on a you tube channel. 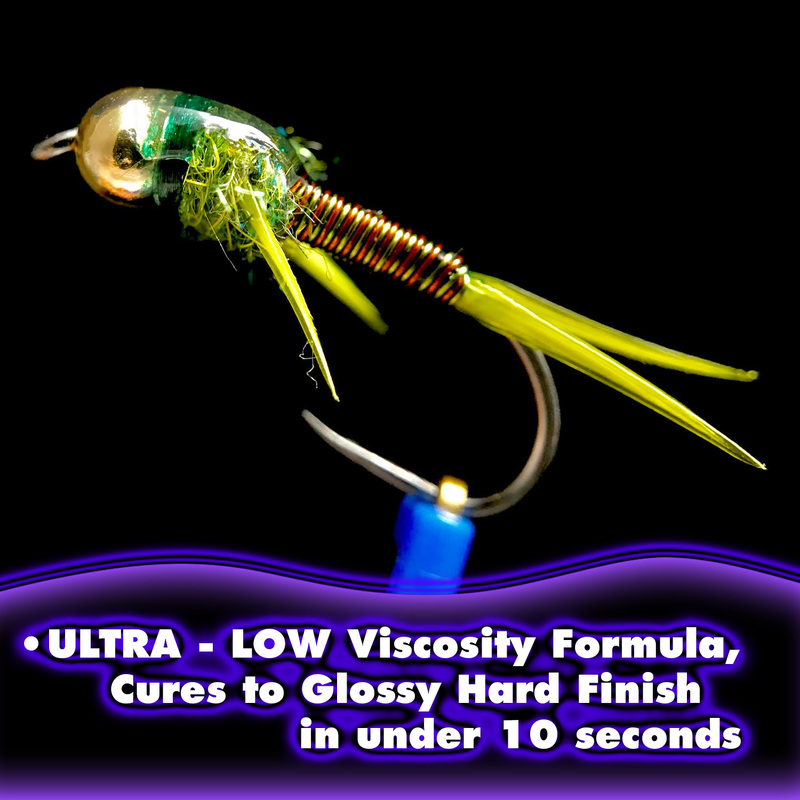 I tie a lot of saltwater jigs and teasers and have used a nail polish top coat. Once I saw this, i figured I’d give it a try. Having a top coat that’s UV cured is a time saver and the finish is what’s advertised, rock hard and no tacky finish. 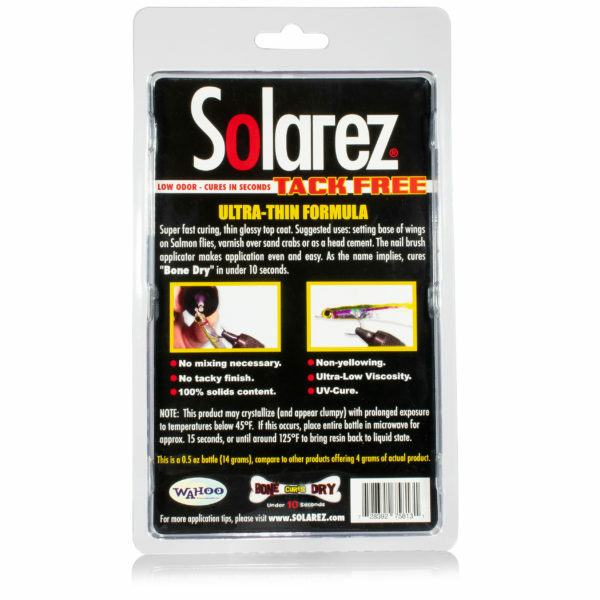 I’ve been using solarez products since I started tying a couple of years ago. I love there products. I won’t use any other brand. I highly recommend this as well as there other products. This is the best UV product for tying flys that I have ever used. 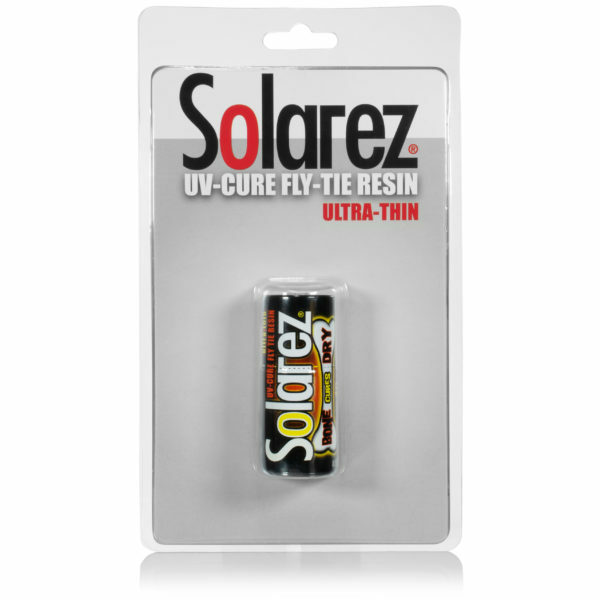 I’ve tried others but they don’t stack up to Solarez UV. 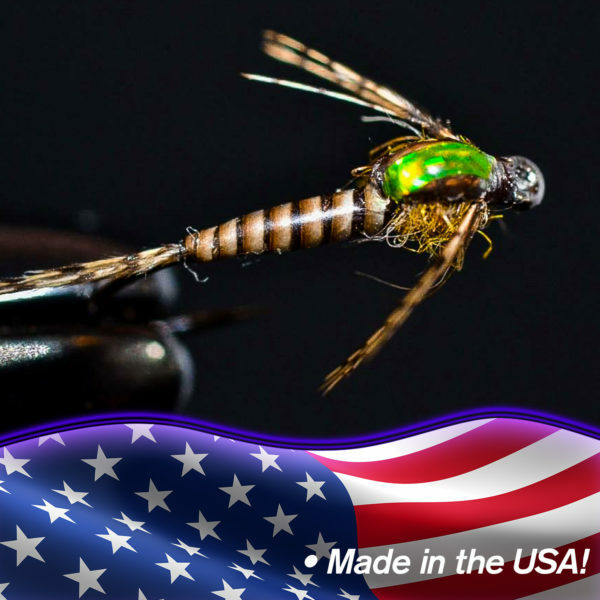 Would recommend this to other fly tiers! Used the Bone-Dry Formula for the first time and was extremely pleasd with the results. Not only was it thin enough to infiltrate the hair and fibers I was tying with, but became BONE DRY quickly when cured with UV. I WILL be buying more of this product no doubt! This is the best epoxy available. The problem on my end, is the small brush. I production-tie a lot of large saltwater flies, and the current brush takes forever to cover areas that require adhesive. How about a nail polish-sized brush? I’m a commercial tier and have tried many different epoxies. This product is the best. 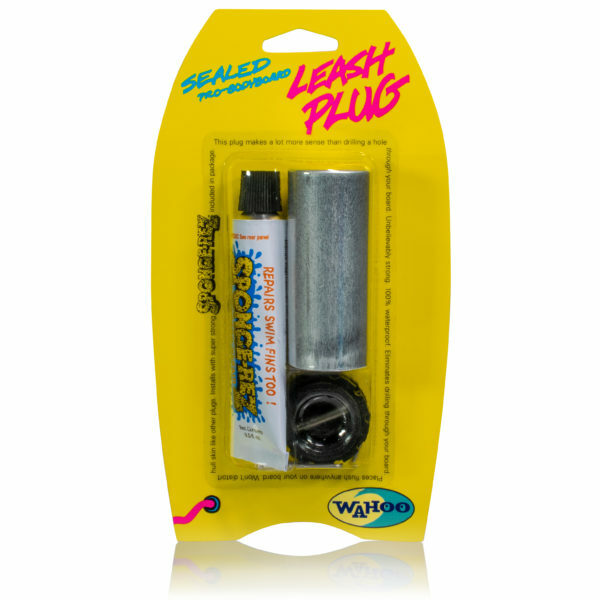 In addition to its ease of use when finishing heads, it dries very fast and tack-free. That gains me time with every fly that I tie! 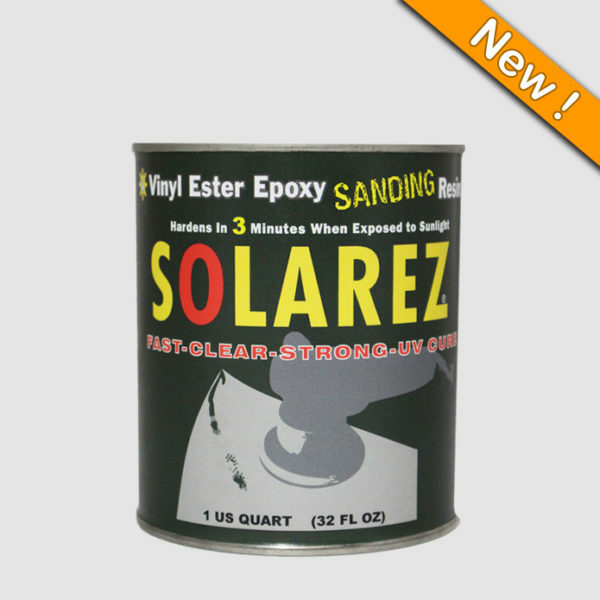 Solarez products are the only epoxies that I use at my bench. 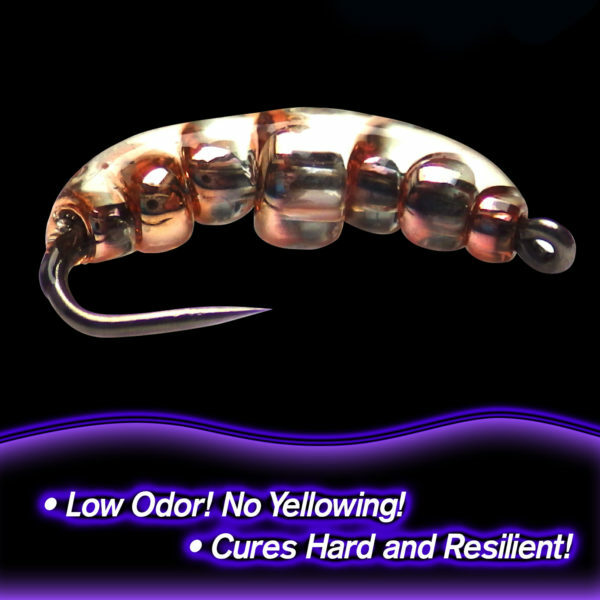 I have been looking for a solution to the problems I have encountered with head cements, slow drying, smell, changing color of painted jig head and becoming hard and brittle. I found it in the ultra thin bone-dry. I used it to tie jigs for a friend, who fishes for Crappie 40 feet deep in trees. He reported back that he had caught 20 fish with the same jig and it looked like it did when he tied it on. My quest is over, I’ve found my cement. I won’t use anything else. I purchases Bone Dry about two weeks ago and wrote a review a few days later when I received an email asking me to do so. At that time I had only used it about 5-6 times and stated it was satisfactory. In the last two weeks I have given it a thorough workout and have to say it is the best product of this type I have ever used. I have about 7 other UV resins and thought several were pretty good until I started using Bone Dry. It cures quickly, leaves a beautiful finish and is non tacky when cured. I only know of two other resins that can make that claim but they are not as convenient to use as Bone Dry. I will definitely be ordering more when I run out. I use bone dry in fly tying for thread wraps and top coats. 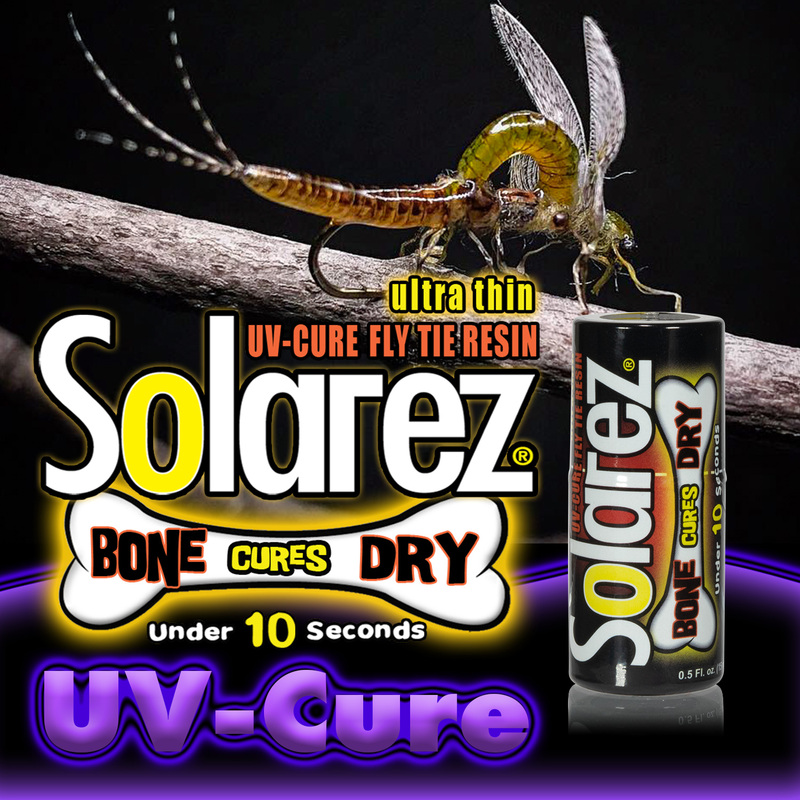 Bone dry is easy to use and cures dry and hard almost instantly. Best UV product I have used. No more epoxies or super glues for me. 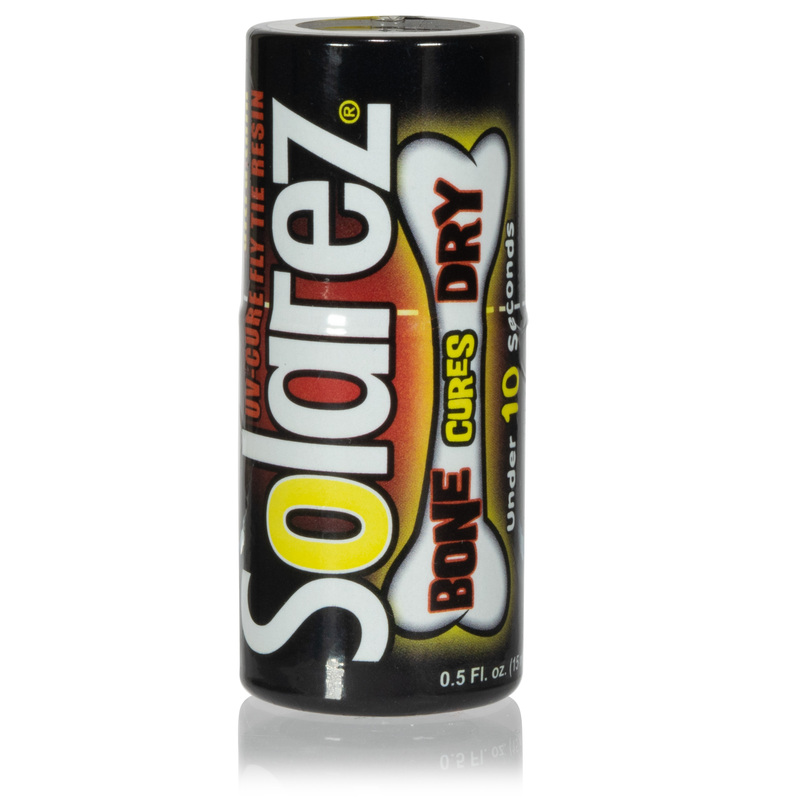 I am sold on Solarez thin, thick, flexible and now Bone Dry. I’m always looking for a better product to coat large midge patterns with, and this is by far the best I’ve tried. Very durable and dries quickly and thin.